How many of us want that incredible, epic proposal? Some of us certainly do. And if you’re thinking of ideas, here is the story of how the Washington Redskins' Vernon Davis did it. Davis, who is the Redskins' current tight end, was on what seemed to be a casual vacation with his girlfriend, Kayla, in Ocean City, Maryland. They were walking along the beach, when suddenly everything changed. “The two were distracted by a group of skydivers jumping out of a nearby plane above. One by one, the divers landed near the couple and proceeded to take off their gear, revealing a message. I think you can guess how she responded. How would anyone respond to something so romantic like that? That’s quite a proposal though, right? How will we so-called "normal" people live up to this? 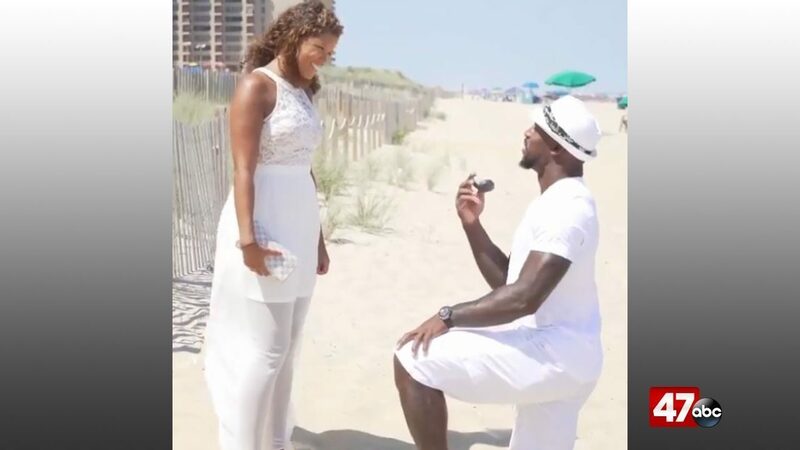 You can actually watch the video of the proposal in Ocean City and read the full article on the story of what happened here. And now that you think Ocean City may be a romantic destination, check out some of our Ocean City guides! Start with the best restaurants (to take your date) here. What do you think of this proposal? Leave a comment below!